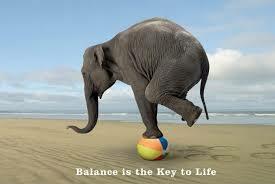 Life Balance, What does it Take to Achieve? 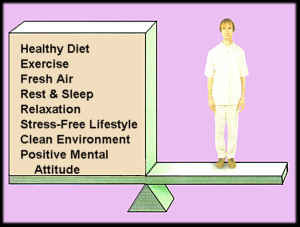 Ever Wonder what it would take to Achieve Life Balance? Well I know this might come as a shock to you and many others , but you are not perfect. I know, It’s Mind Blowing isn’t it?? Perfection means you will always be able to go to your son’s soccer game and still make that Business meeting , You will always be able to work out faithfully , even when you house needs cleaning and laundry is piled up hig. You’ll always have to take your elderly mom shopping even though you have a list of things on your to-do list that just never seems to end. No, You are not perfect. So you’re not always going to do everything you think you need to do. And that is OK, Keeping your life in balance isn’t you striving for a level of perfection you’ll never attain. Rather, living a Balanced Life is having a grasp on your deep down priorities and values and doing those things that are most important to you. 1. Take time to Discover your True Values. Think about what you value the most. What are the things that drive you? What things in Your life are you most passionate about? 2. What are the things you are currently doing that are not adding one bit of value to your life? What activities are you doing that have long ago run their course? What would happen if you eliminated some of these useless things? 3. Who are the people in your life who are energy drainers? Who are the life affirmers? How would spending lesstime with the former and more time with the latter change things for you? 4. When you wake up in the morning , what thoughts come into your mind? Are they positive or negative? What would happen if you refused any negative thoughts for an entire day? An entire Week? 5. What is one positive thing you can say about yourself that you can repeat over and over? How do you think this might impact your day? Your Week? Your month? 6..What is one positive thing you can do for yourself that will make you feel good about yourself? What would happen if you did this thing over and over until it becomes a habit? How would it change how you feel about you? 7. How is your body feeling? Is it physically fit or is it ready for a makeover? What would happen if you made the decision to take just a baby step and go for a walk? What would happen if you took this baby step every day? 8. How is your current relationship with your spouse? Does it bring you joy or is it a source of stress? What is one thing you could do to make it just a little better? How would that tiny change make a difference? 9. What is the status of your family relationships? If you were rating them, how would they fare? What is something you could do to give them a better rating? How would that help you feel better and more in balance? 10. What is the thing you like most about your Job? How does your current job fit into your true values? What changes can you make to make it fit better? How will those changes help you go forward? Yes, there are lots of things to consider, and Yes, there are lots of things you can do to help yourself find Life Balance. Now you have a place to start. Have you ever experienced a Panic and or Anxiety Attack? If you haven’t then you just do not understand what and how bad it feels. Fear sets in, Can’t think, Chest Pains, You start pacing the floor, Cant get one clear thought in your mind, sweating, You honestly feel as if your going to completely loose your mind. The attacks are extremely horrible to go through—Feels like your whole life is being destroyed. You Can’t Work, You Can’t talk to anyone , at least anyone who would understand, You Just can’t Function!!!!!!! The first thing you have to understand is that emotions are like waves. They come and go, but they can’t get a long-term grip on you. Every emotion you have, even the awful and crippling fear of dying – Is only temporary. This is something you forget when you are having a panic attack. As a former sufferer of this awful condition, it’s important to me to convince you that hope is out there. There are many ways to overcome anxiety and panic attacks and don’t let anyone tell you otherwise. I do have a list of Natural Ways of you to get rid of the Anxiety in your Life, You don’t want to start taking Pills for this……Doctors are to quick to just write out scrips for pills that will only hide the symptons and does nothing to actually cure the real Issue at hand and the Pills are Highly addictive. So here are some All-Natural Ways of helping with your Anxiety/Panic Attacks!!!!! Researchers have found that Magnesium is necessary to dissipate the effects of traumatic stress that can occur from intense episodes of fear or anxiety. Magnesium also helps undo the bad programming from prior anxiety attacks by helping to create new brain response patterns not influenced by fear or anxiety. If you can, get a blood test and check to see if you have a magnesium deficiency. If you do, consider a Natural magnesium supplement. You might be surprised by the results. Omega 3 fatty acids were found to reduce the effects of stress and anxiety by 20 percent. Make sure you get proper omega-3 status by having more fatty fish in your diet, or by taking an organic fish oil supplement. It can reduce anxiety and also systemic inflammation all over your body. GABA – GABA is short for gamma-aminobutyric acid, and its role in the body is to calm the firing nerves in our central nervous systems. Long term stress can interfere with production of this neurotransmitter, and you don’t have enough of it, you can experience manic behavior, alcoholism, anxiety and recklessness. Other symptoms of GABA deficiency include headaches, palpitations and low libido. You may consider trying 500-1000 mg a day of a GABA supplement, or have more food that increases its production: Nuts, bananas, broccoli and spinach, green tea, citrus fruit and rice bran. It’s o.k to use Facebook to keep in touch with friends occasionally. But, when Facebook becomes “an addiction” (those of you who are addicted know who they are), it’s difficult to notice how it promotes feelings of loneliness, low self-image, jealousy, insecurity and feelings of inadequacy – All of them leading to anxiety. 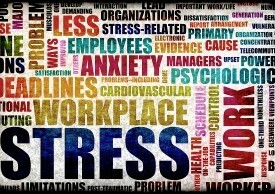 40 million Americans suffer from anxiety just because they resent their job, hate their job or just work too much (more than 48 hours a week). If you have no idea where your anxiety and panic attacks came from, it’s time to ask yourself if you work too much or just simply hate your job. Think about it before you dismiss it. It’s closing a door, which could be frightening, but opening a door to a new adventure, to a chance of a happier and a fulfilling life – A life without anxiety. It reduces the stress hormones and elevates those “feel good” hormones mentioned above. At least try to walk (as fast as you can) for a half an hour every day. You won’t believe how amazing you will feel (not to mention how much healthier you will become). When You exercise you actually feel more Energized, You have that Serotonin that is being released and it gives you a feeling of Happiness, one that keeps Anxiety away. Exercise is a Daily Anxiety Treatment!!!!!!! Massage, Yoga, Reiki, Meditation – Are not only a lot of fun – They are very relaxing as well. If you can get a relaxing massage once a week or two – Good for you and very good for chronic anxiety. Yoga and Reiki are helpful as well and meditation, if you have time for it, is especially effective. All of these therapies elevate the levels of your “feel good” hormones – Like Serotonin. They have other amazing benefits to your overall health, which help your body deal with stressful events thus preventing panic attacks. Chamomile serves as a mild remedy for anxiety. Commonly packaged as a calming agent in herbal tea products, it is also used to be a gentle resource for settling an upset stomach. Chamomile is most helpful after a long, stressful day that has led to particularly distracting but otherwise temporary feelings of anxiety. Chamomile, much like the packaged version suggests, is ideal to take as a tea. Discovered by Spanish explorers in South America in the sixteenth century, passionflower provides a slightly stronger remedy for anxiety than chamomile and as a result is often used for slightly more ambitious medicinal interventions like anxiety disorder. It is commonly believed to not only help anxiety but also to help with insomnia, nervous disorders, and blood-related maladies like hypertension. Like chamomile, passionflower can be taken as a tea and the two are sometimes combined along with other herbs for anxiety-related symptoms. This herb, sometimes just referred to as “kava,” is known by many to be effective as a sedative. It can be used for not only anxiety but even to act as a natural anesthetic. Its preparation can be varied, for it can be consumed as a tea, in pill form, or even by chewing on the plant itself. Given its strength, it is advisable to consult an experienced herbalist or medical practitioner before taking it. Feelings of anxiety can be distracting if not outright debilitating. Anxiety can compromise our sleep, our functionality, and our overall sense of wellbeing. But addressing this condition doesn’t have to be complicated to get results. With herbal remedies like these, finding greater calm is possible. Wrong. New research has found Anxiety and depression may actually originate from the gut. That’s why so many people suffer from both Irritable Bowel Syndrome and Anxiety at the same time. A healthy diet will definitely, and I repeat definitely, dramatically help you overcome anxiety and panic attacks. We all know what a healthy diet is, so no excuses please. 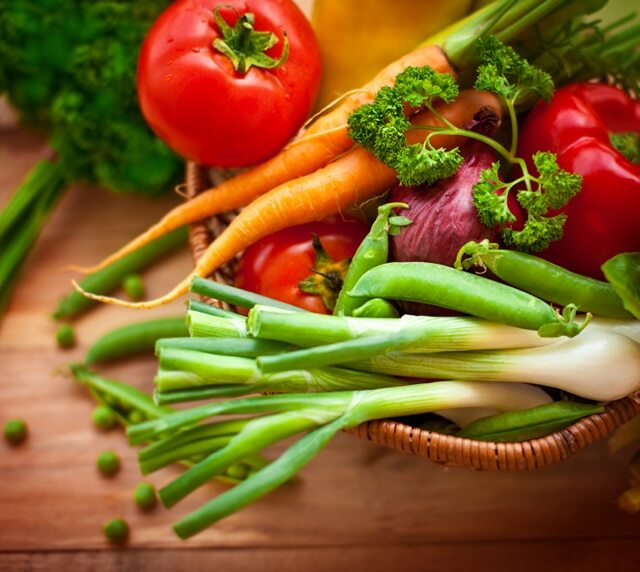 Reduce sugar, fat, meat and dairy as much as you can, and eat much more vegetables and fruits. Get rid of the Toxins, Start eating more Greens , food that flush the Toxins out of your system will help keep your intestines and digestive system clean, reducing the more of the Anxiety that you are experiencing. Breath very slowly through your nose and out of your mouth, bring them up from your stomach. Doing this a few times during the day will help you in calming down, It is Amazing how just slowing down your system, and breathing slowing through your nose can calm your nerves and hence lessen the Anxiety your having. I hope these Tips are Helpful for you as you try to get yourself clear of Anxiety, I know how bad they are and how bad they can make you feel , for I went through them for years. I was one who was on medication, and I am so glad I learned how to relieve my Anxiety the natural Way, for my Anxiety is gone, and I feel much better now as well. Every once in a while I do feel some feelings creeping up my skin, I will just start breathing correctly and do all the above and Anxiety is Gone!!! Try it, and see how it goes!!!! !